A number of 5 and 10km routes will be available with one central checkpoint. Each route will be defined by a set of instructions which will only be issued following the completion of a leg. 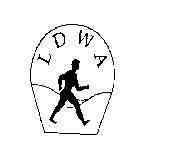 By addition of legs a choice of distances (5/10/15/20/25/30/35/40kms) is available. The routes will cover MOD training area, downland, byways and wooded sections, because of the possible choice of distances there will be no other checkpoints. Food and drink will be available at the central checkpoint throughout the day. You can decide your distance in the course of the event during a stop at the central checkpoint. Route instructions and maps will be issued throughout the day. All dogs must be kept on leads at all times. Runners and joggers are welcome to participate. Entry Fee: £2.50 to include drinks. An embroidered badge will be available on the day at a cost of £2.00 and a Certificate will be available to purchase for 50p at the finish. The organisers are not liable for accidents, thefts and/or damage to property. Every effort will be made by the organisers to make this a safe, enjoyable and memorable event. The event does not fall within the scope of the Adventure Licensing Activities Regulations.